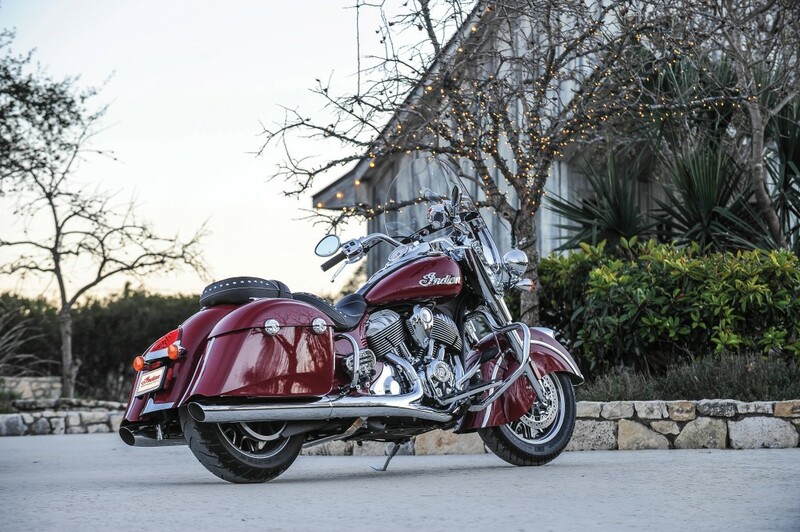 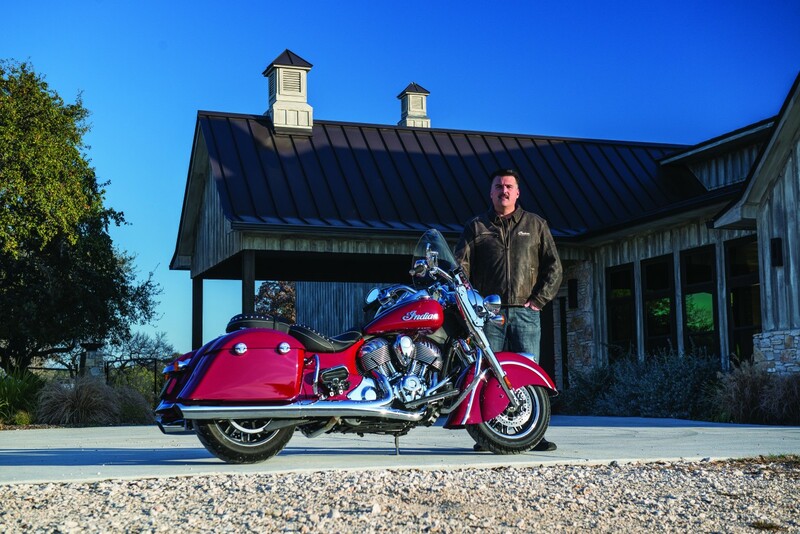 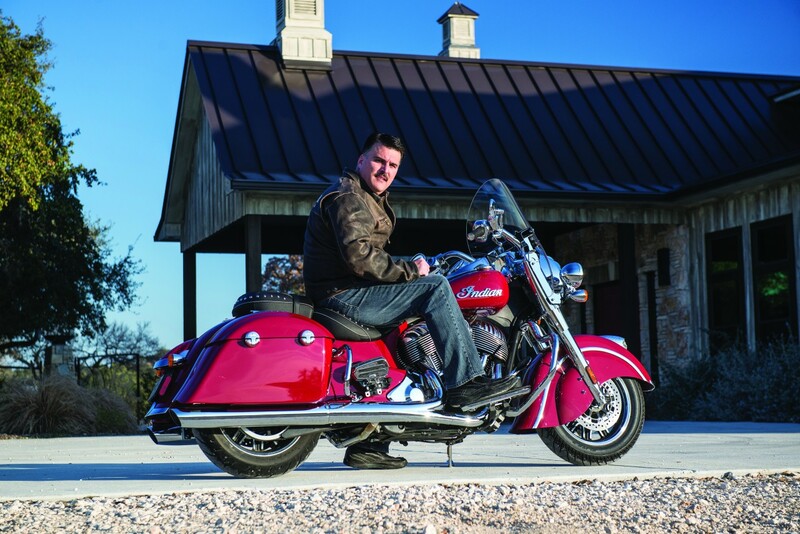 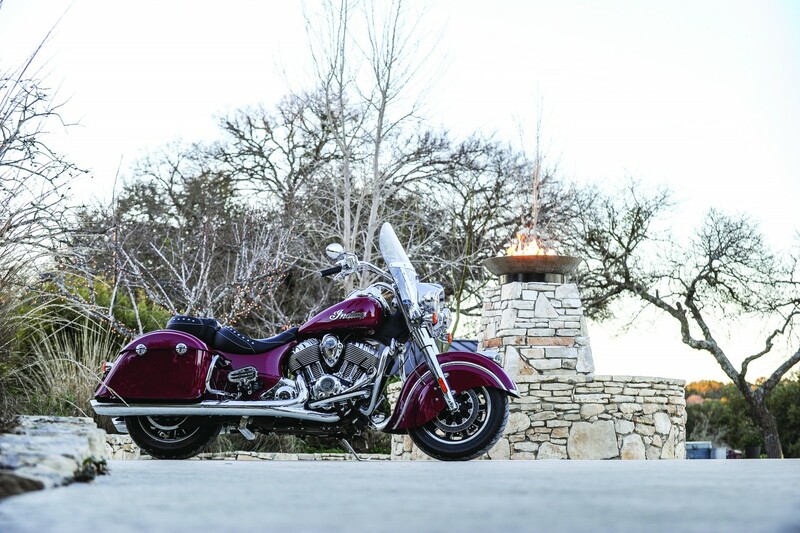 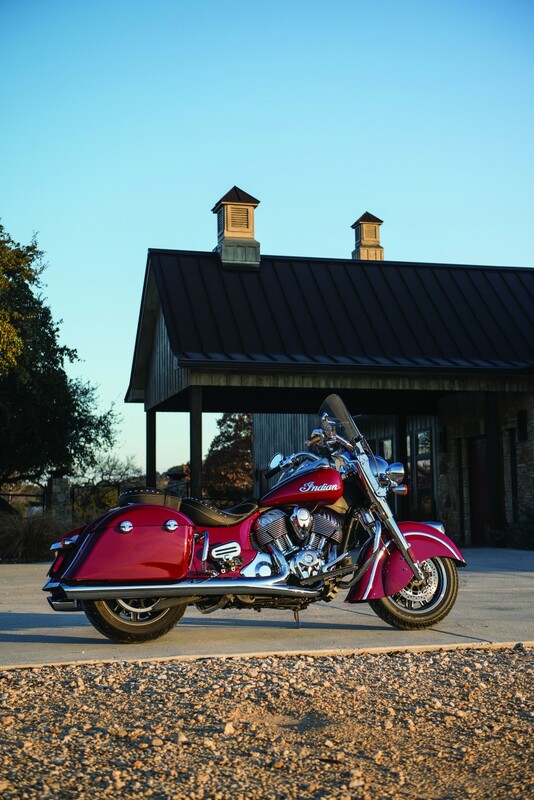 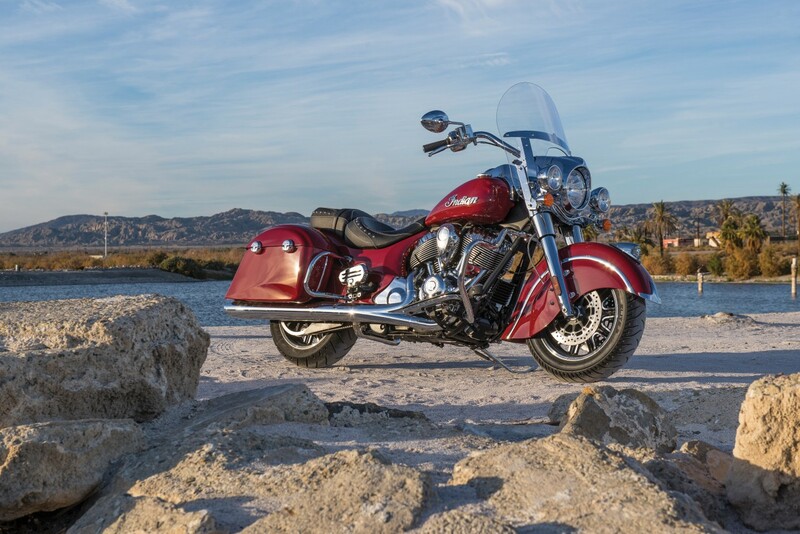 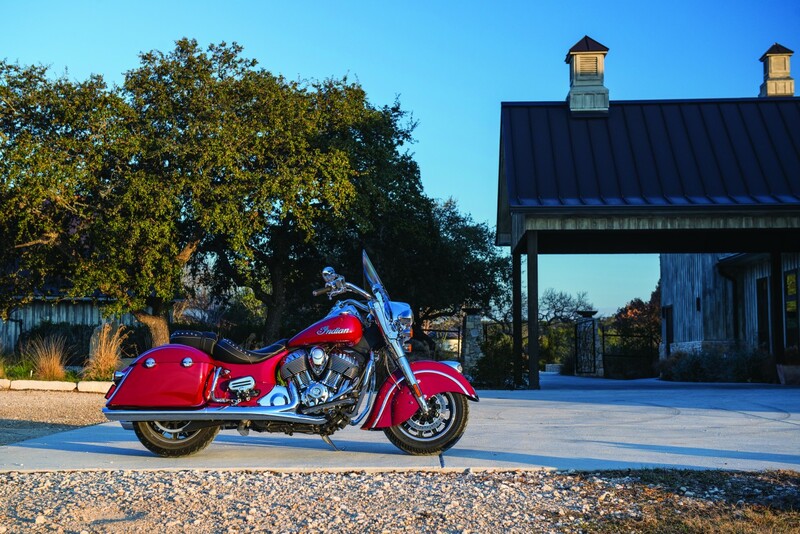 Indian Motorcycle is proud to reveal a new 2016 motorcycle – the Indian Springfield. Named after the birthplace of Indian Motorcycle and designed for a pure touring experience, the Indian Springfield features a removable quick-release windshield and hard, all-weather, remote-locking saddlebags (also removable). 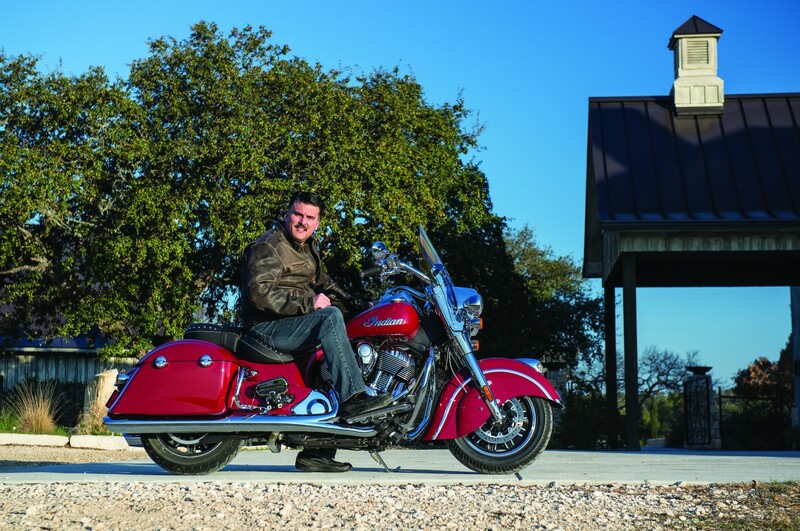 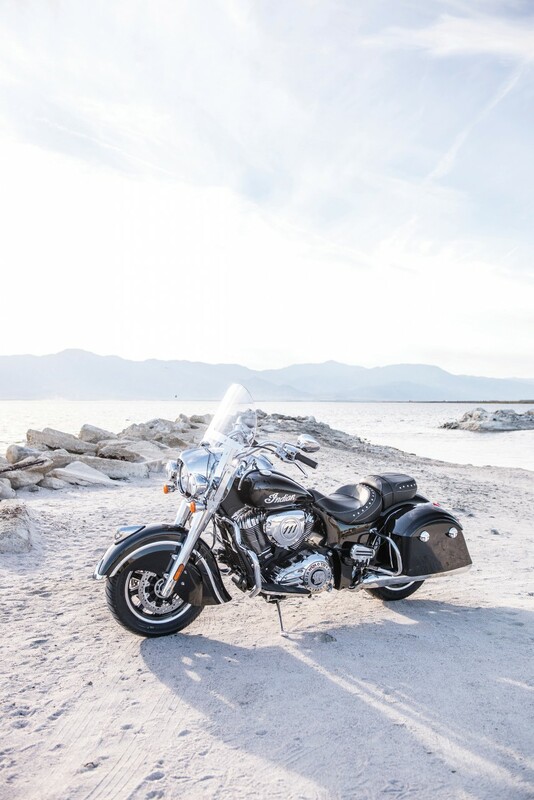 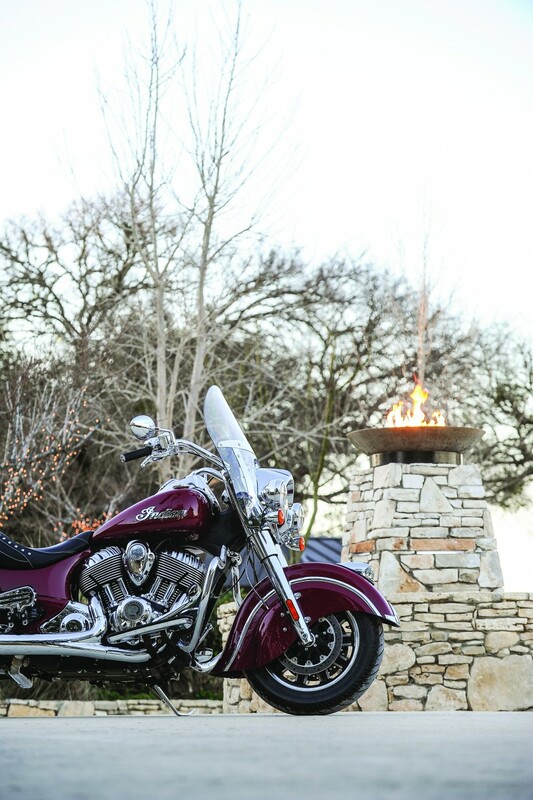 It means that the Indian Springfield can be ridden as a fully-loaded touring model or stripped down into a cruiser by removing the windshield and saddlebags, offering the ultimate versatility. 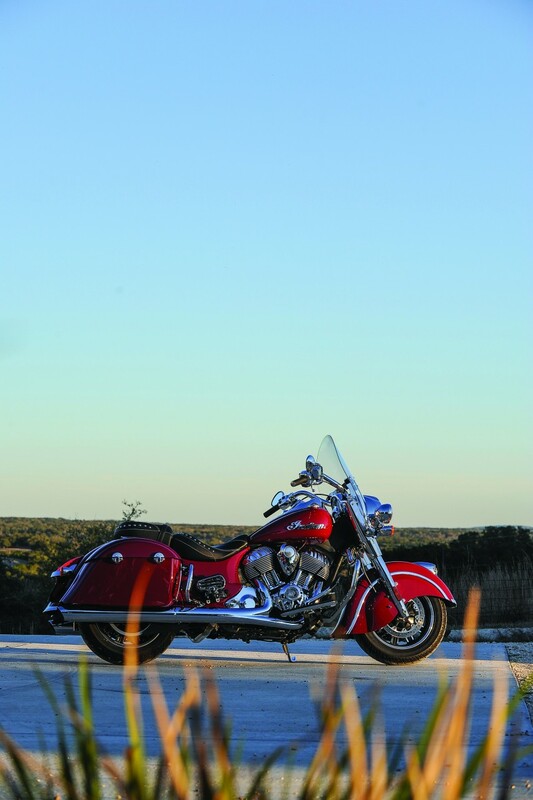 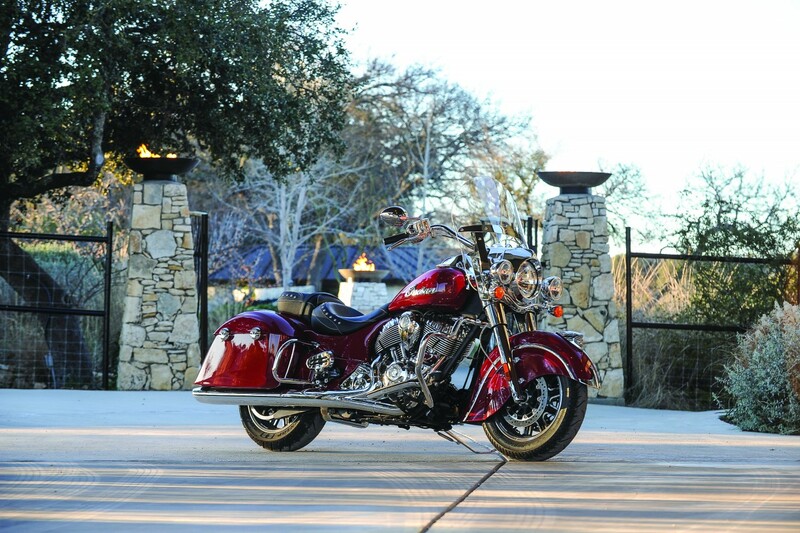 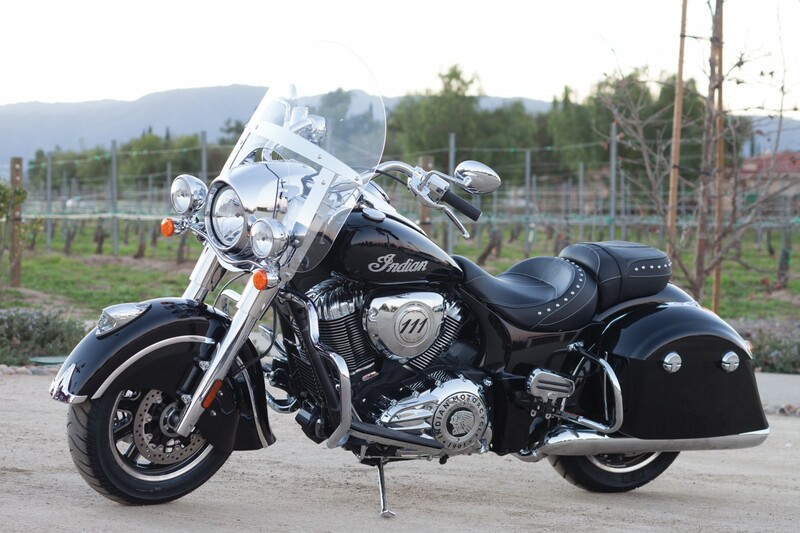 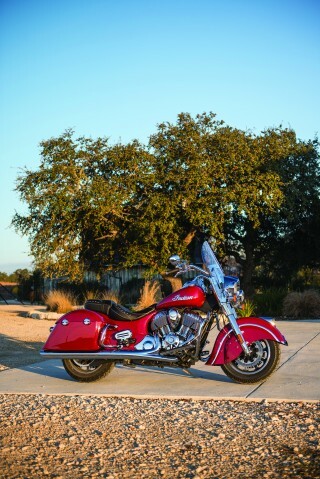 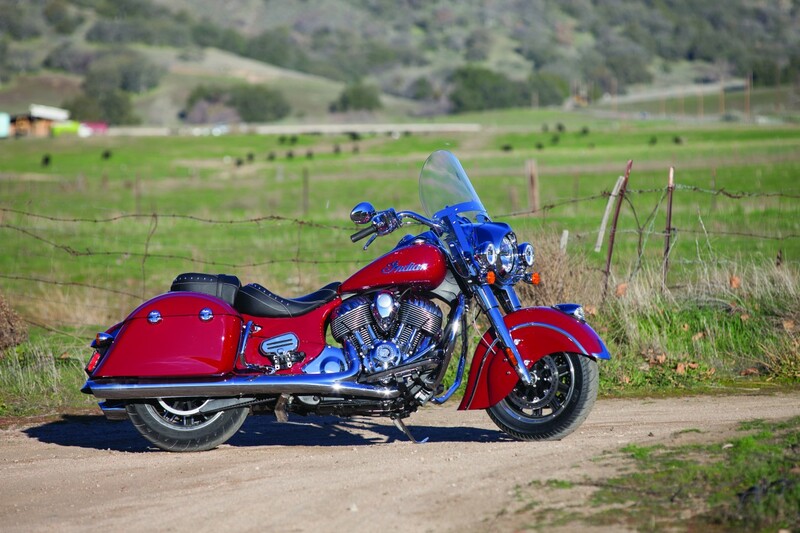 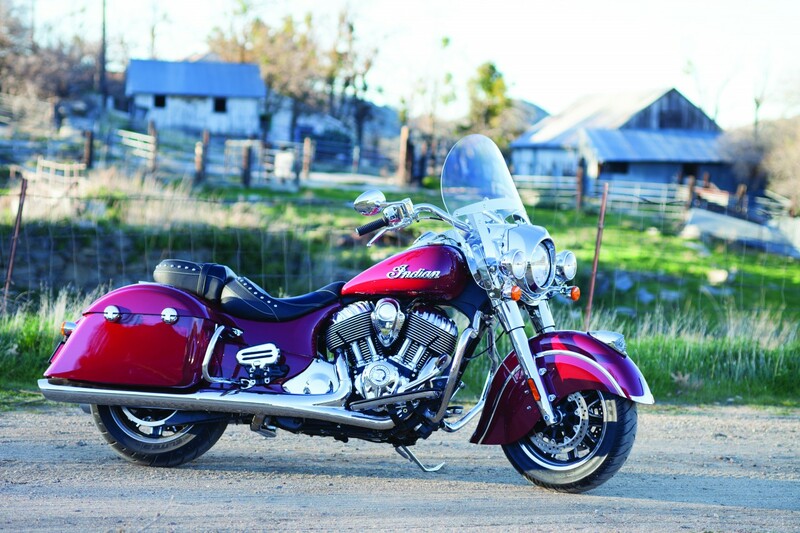 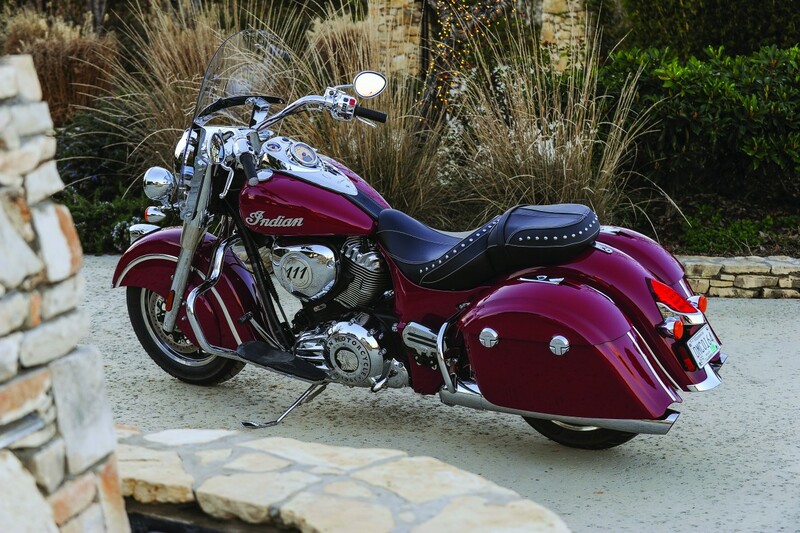 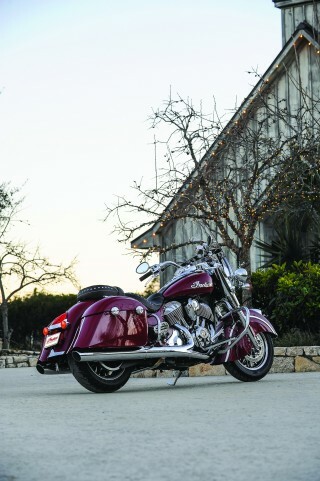 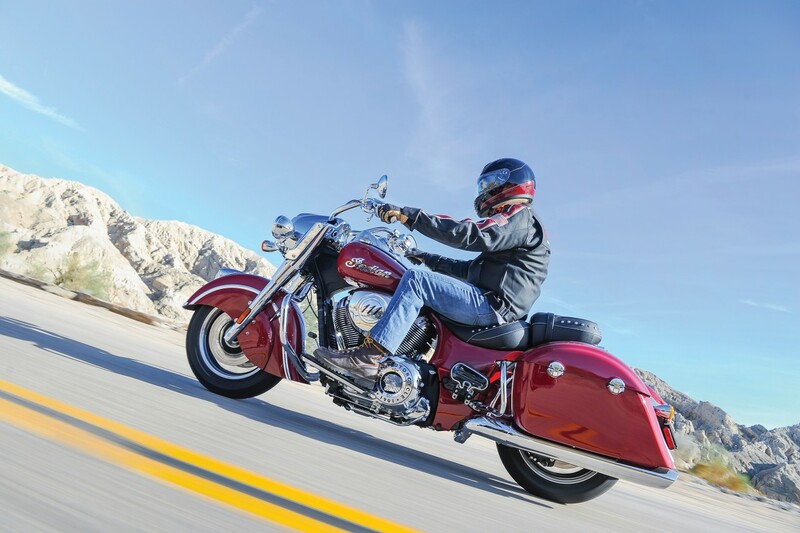 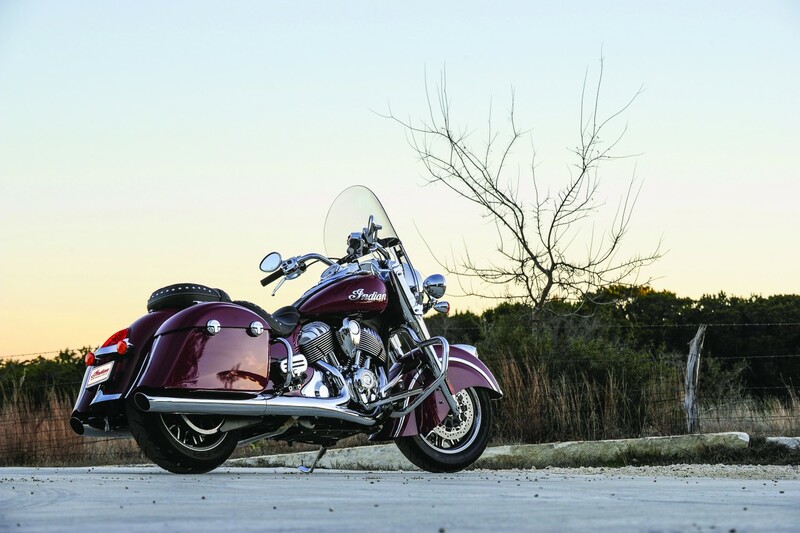 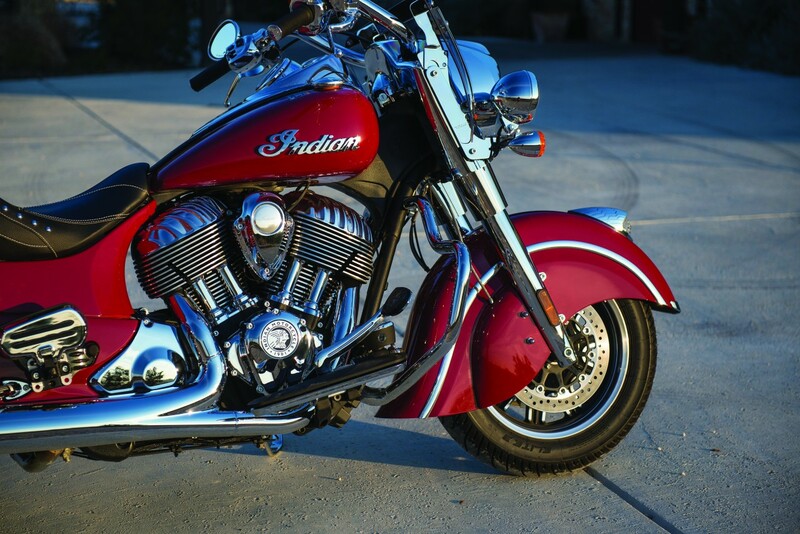 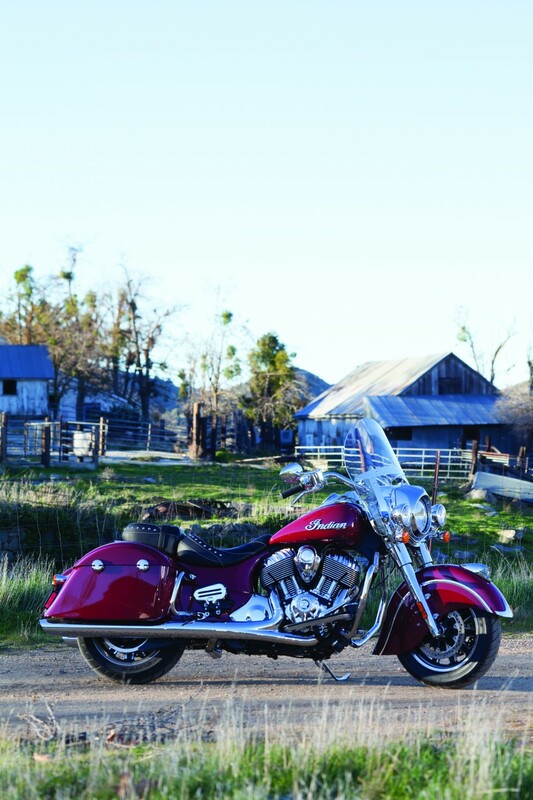 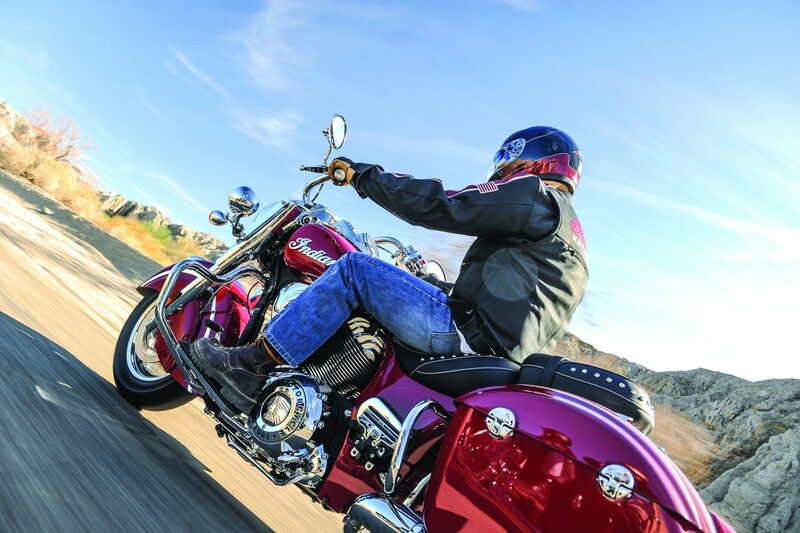 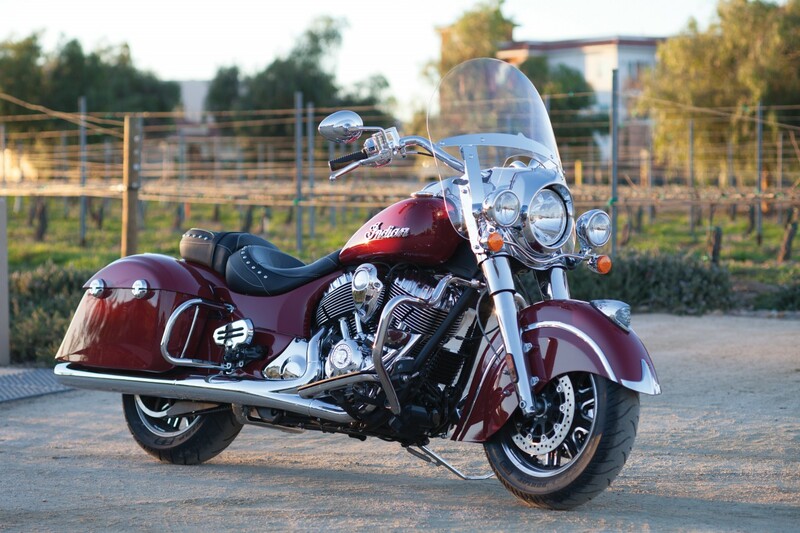 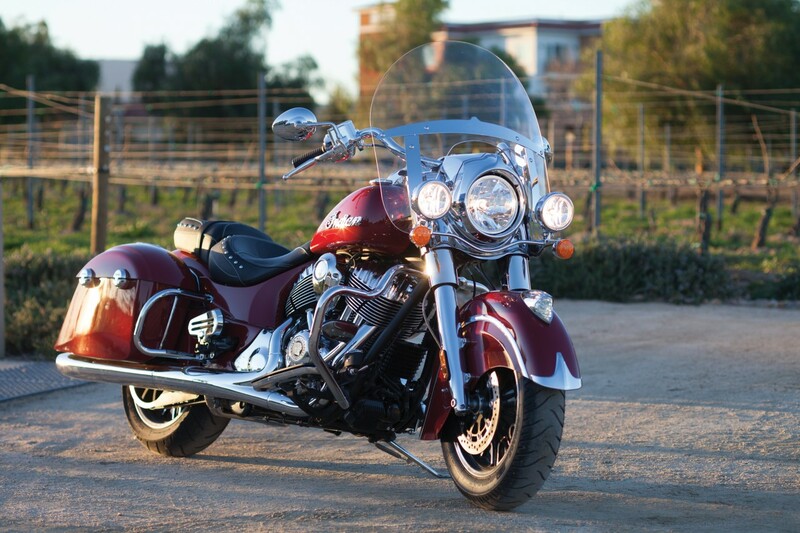 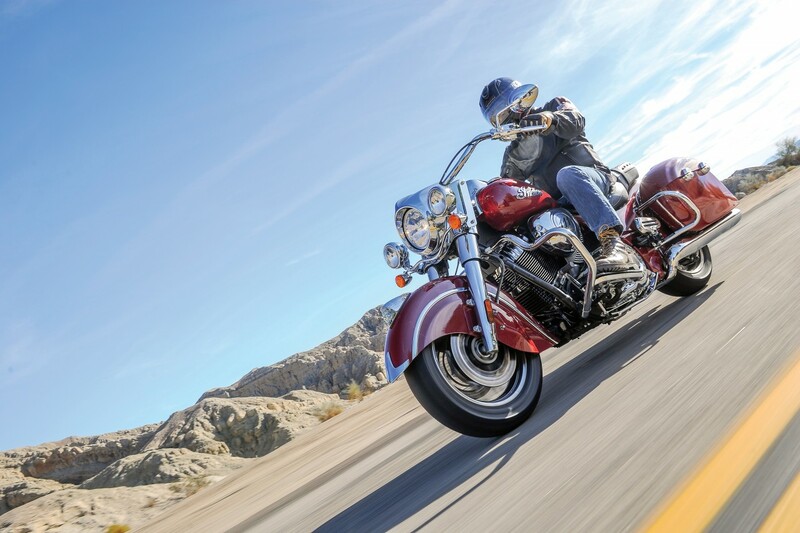 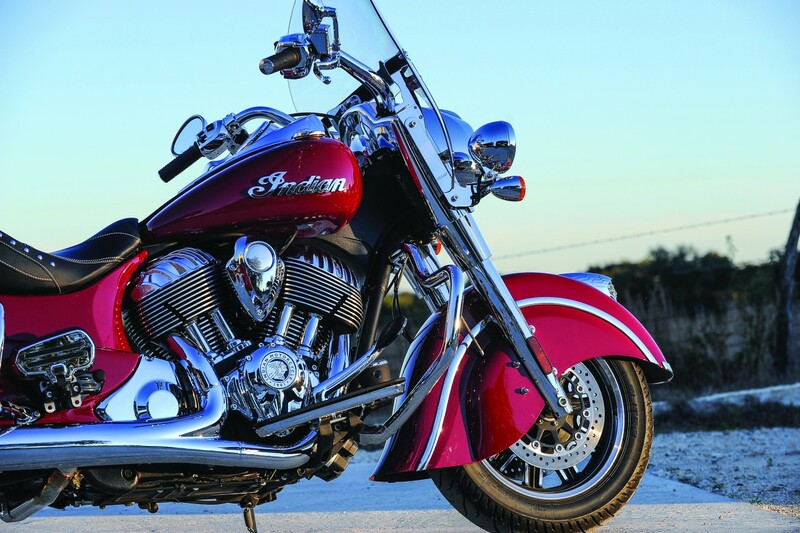 While maintaining the style and luxury that Indian Motorcycle is known for, the Indian Springfield carves out its own niche in the bagger and touring category. 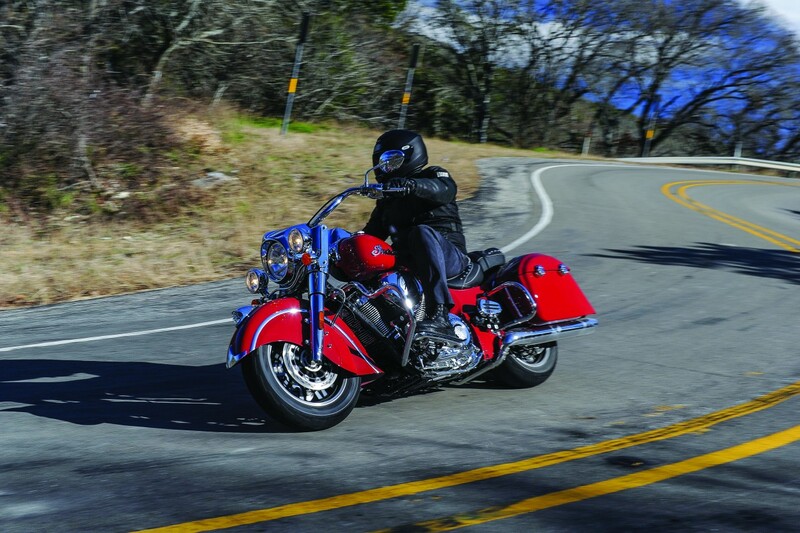 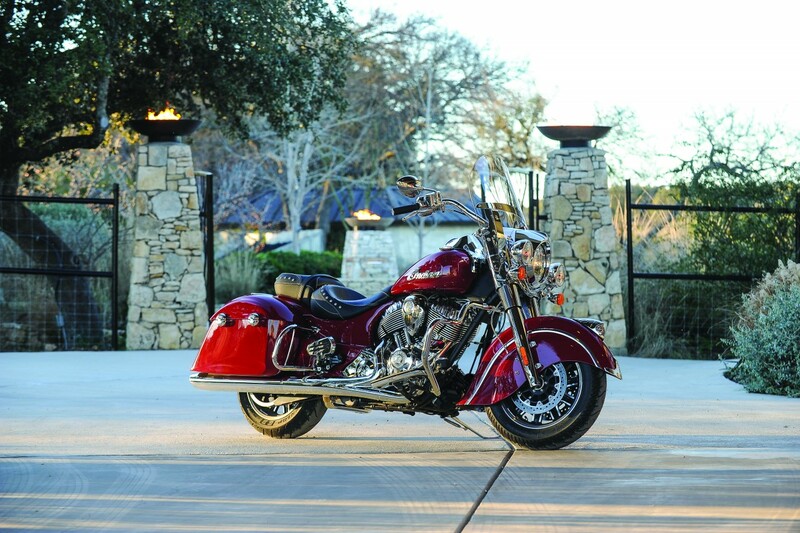 On the surface, it appears closely related to the Indian Chief Vintage (the most iconic-styled bagger in the Chief line-up), however Springfield was developed with a completely different, trunk-compatible chassis that allows for carrying higher loads. 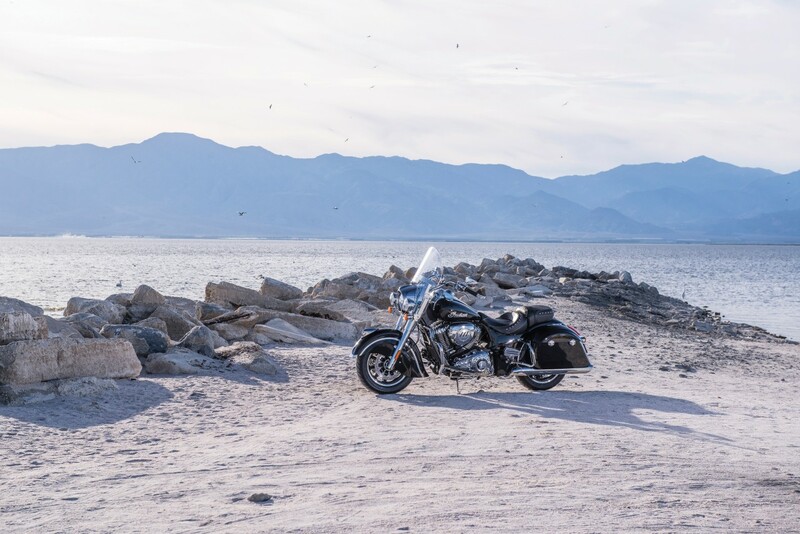 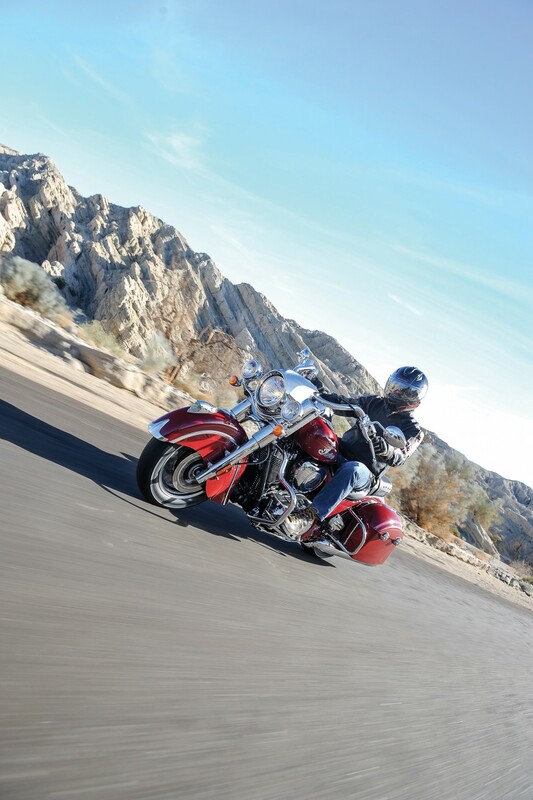 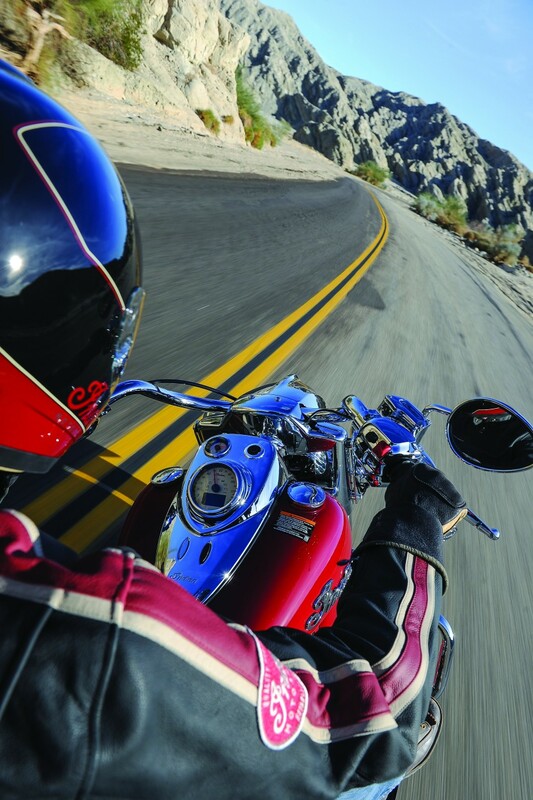 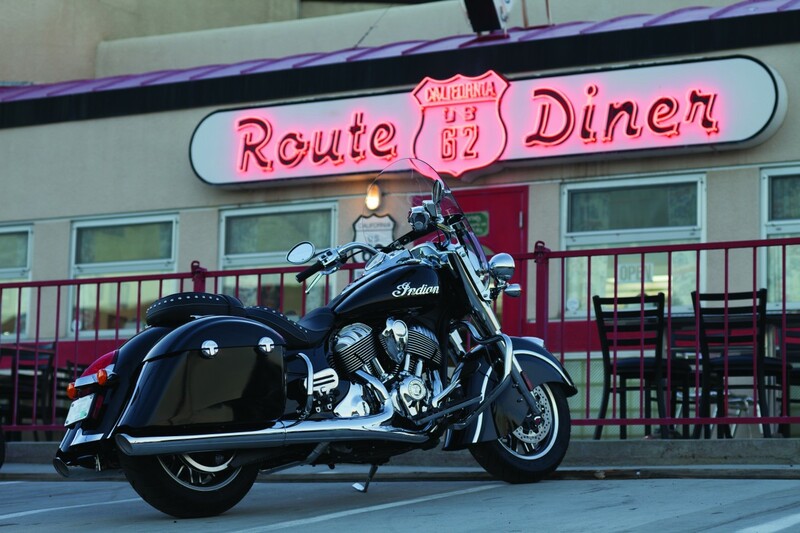 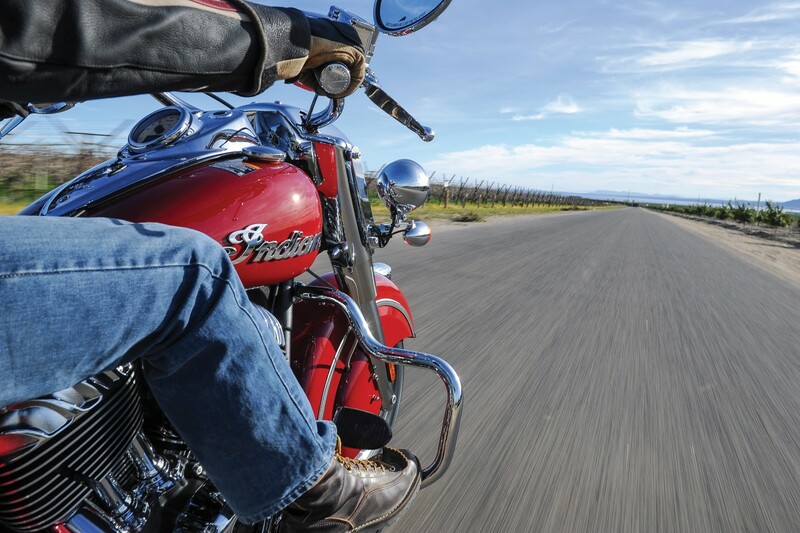 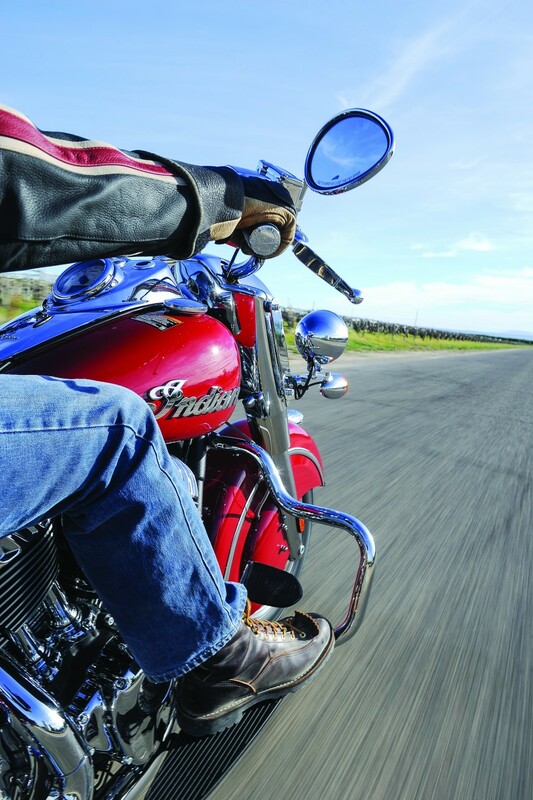 Designed for an un-obstructed view of the road ahead, the Indian Springfield has a model-specific quick-release windshield that creates a large air pocket for the rider and passenger. 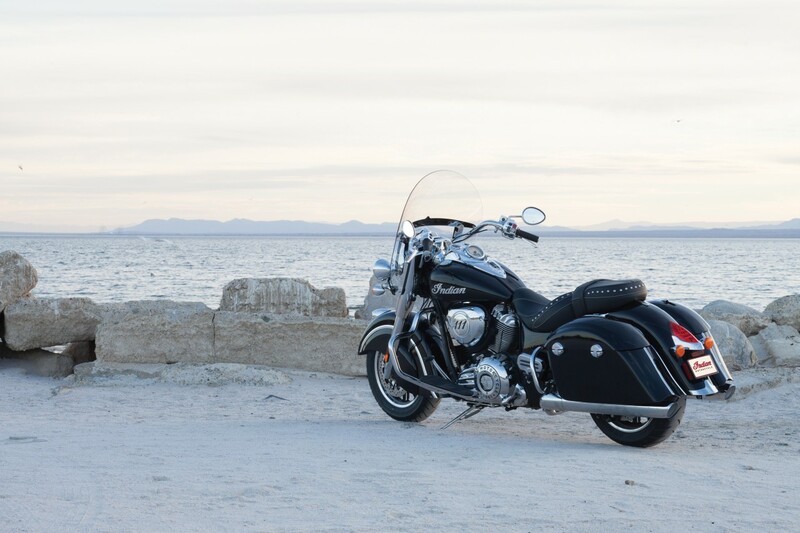 Comfort features, such as a rear buckhorn bar and adjustable passenger floorboards, come as standard along with the confidence-inspiring Anti-Lock Brakes, a tyre pressure monitoring system, electronic cruise control, powerful headlight and dual riding lights. 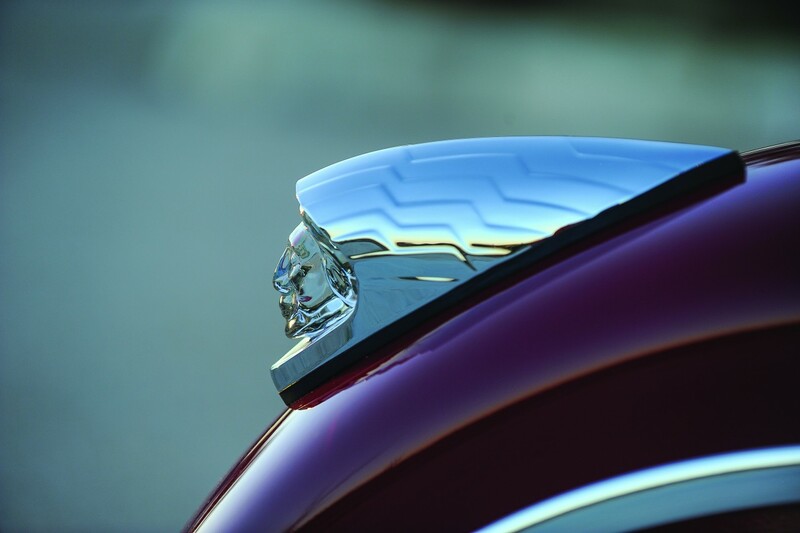 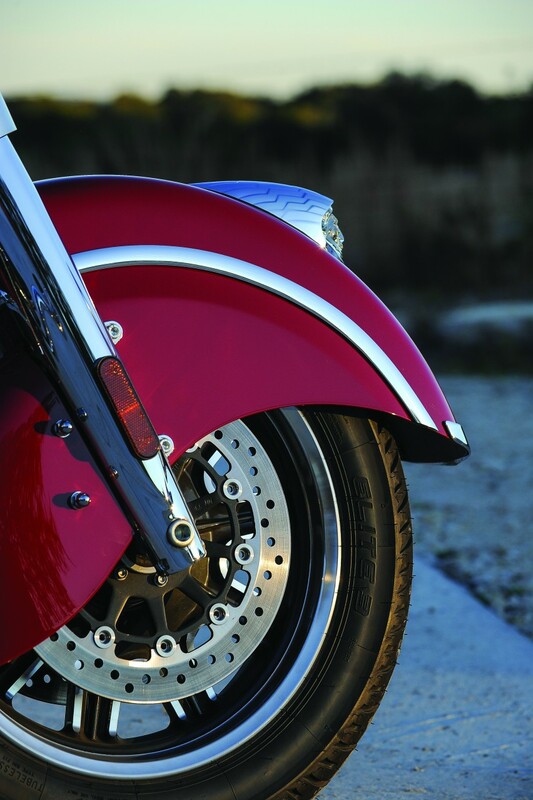 Standard front and rear highway bars allow for the mounting of accessories and offer protection in a tip-over scenario. Brightly chromed forks, headlight housing, fender trim, engine covers, exhaust and handlebars with internal wiring bring the shine along for the ride. 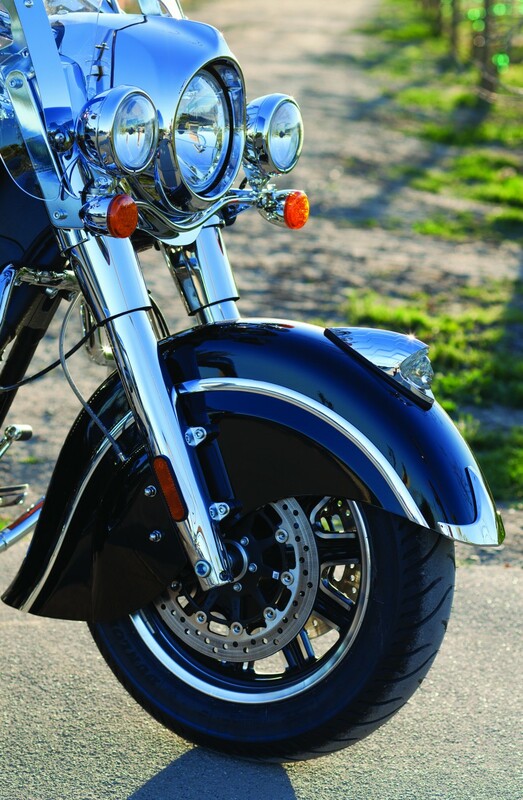 The tank-mounted gauges help manage information needed for the long haul including a tyre pressure monitoring system (TPMS) indicator, cruise control indicator, tachometer, electronic speedometer with odometer, fuel gauge, dual trip meters, clock and more. 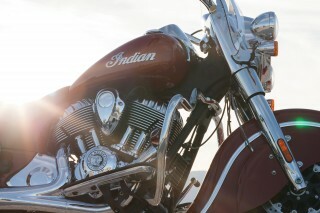 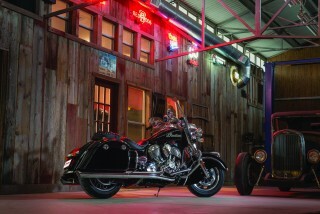 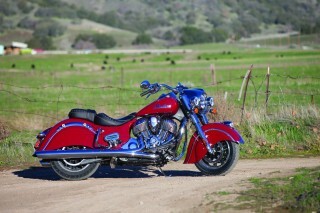 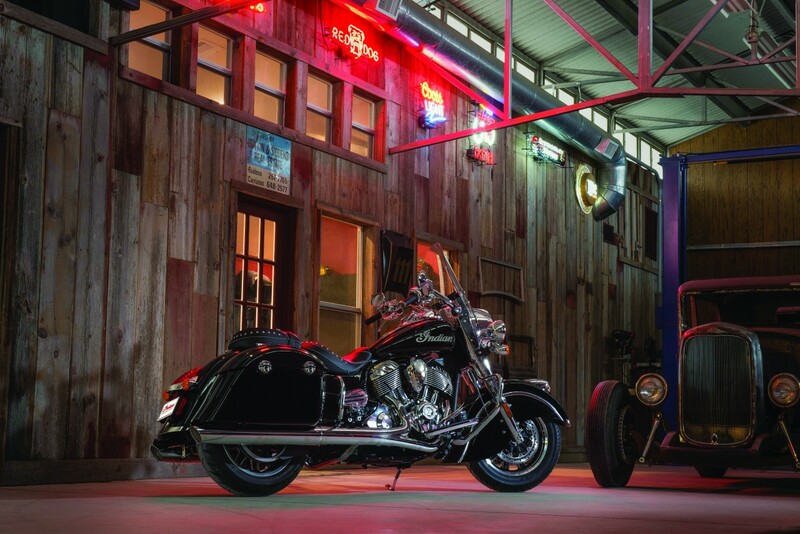 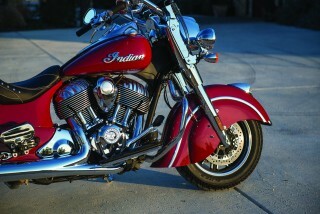 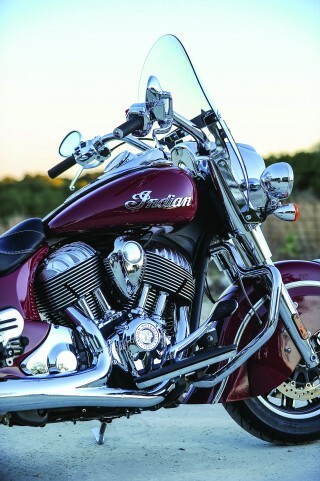 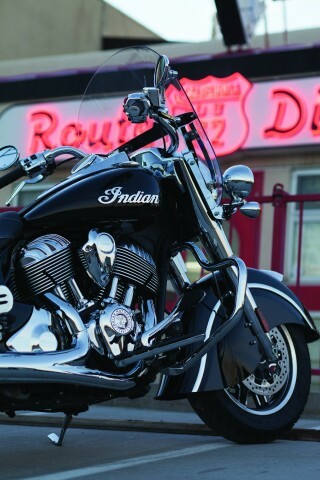 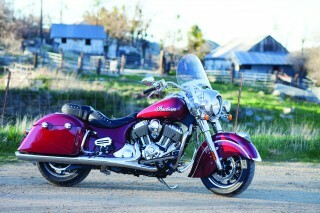 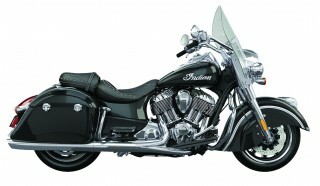 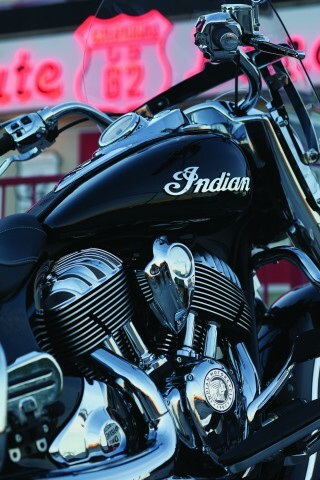 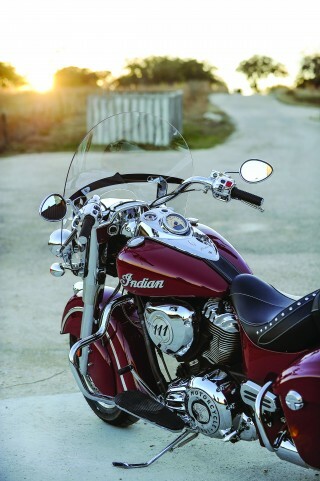 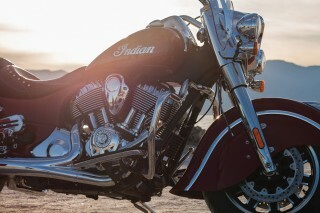 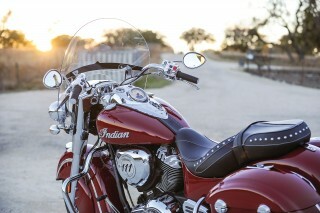 The Indian Springfield is available in Thunder Black and Indian Motorcycle Red. 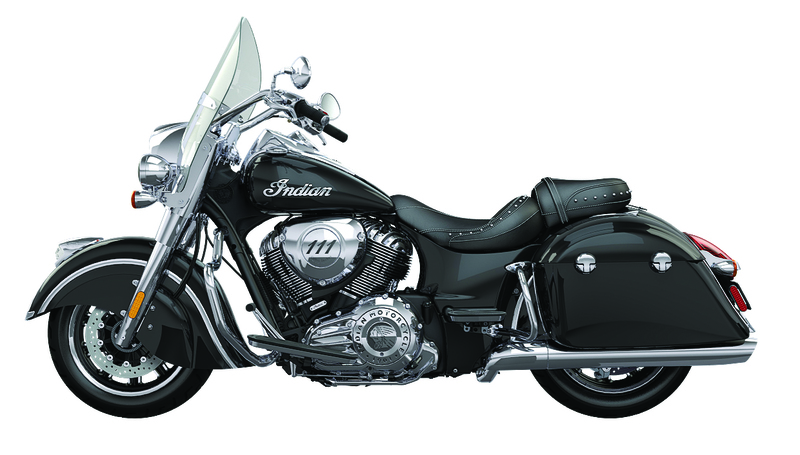 Powered by the highly regarded Thunder Stroke 111 engine, the Indian Springfield features 139 Nm of torque to ride any highway in any weather. 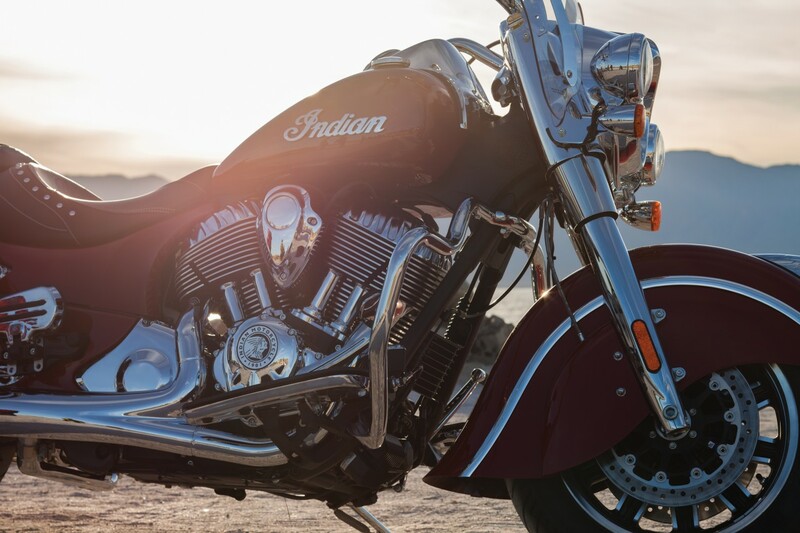 Featuring a left side air intake, parallel pushrod tubes and down-firing exhausts, the Thunder Stroke 111 delivers not only the signature style for Indian Motorcycles, but does so with very little maintenance. 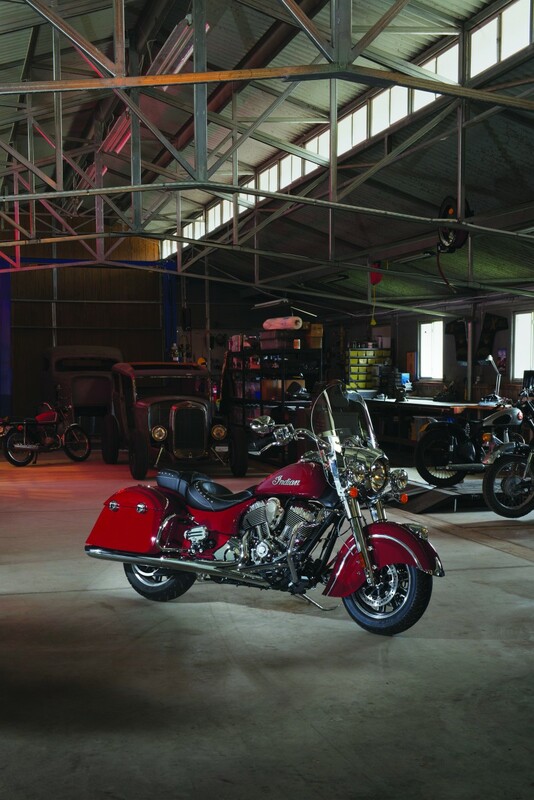 With a direct gear-driven primary, a semi-dry sump oiling system that goes 8,000 km between changes, and a host of low or no maintenance features, this is one powerplant that increases valuable touring time. 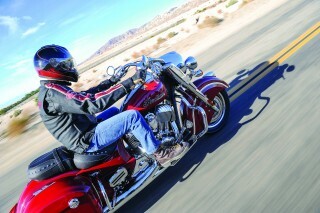 A few short minutes will allow the motorcycle to be converted into a sharp handling solo ride. 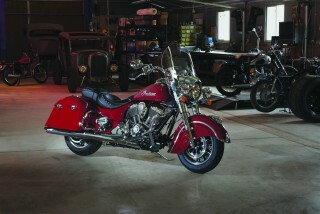 The quick release windscreen and saddlebags can be removed without tools or leaving behind ugly mounting hardware. 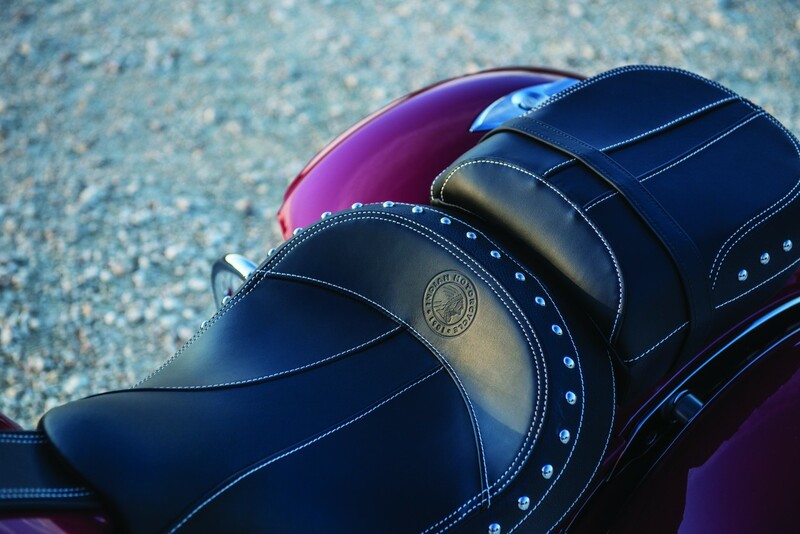 The split seat, featuring a unique stitch pattern, can likewise be trimmed down to create a tight and low solo look, giving the Indian Springfield a truly dual personality. The unique chassis was designed to handle a wide load range. 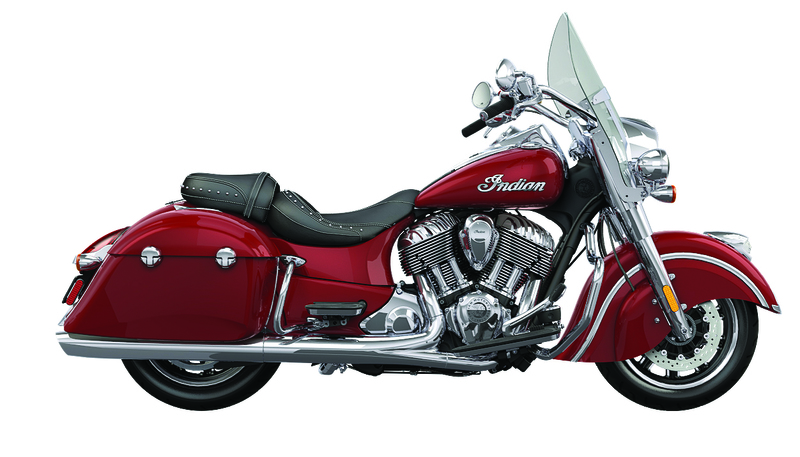 Featuring cartridge forks and an air-adjustable rear shock with 11.43cm (4.5 inches) of travel, the Indian Springfield is capable of carrying up to 242kg (533lb) for those trips that have an endless horizon. 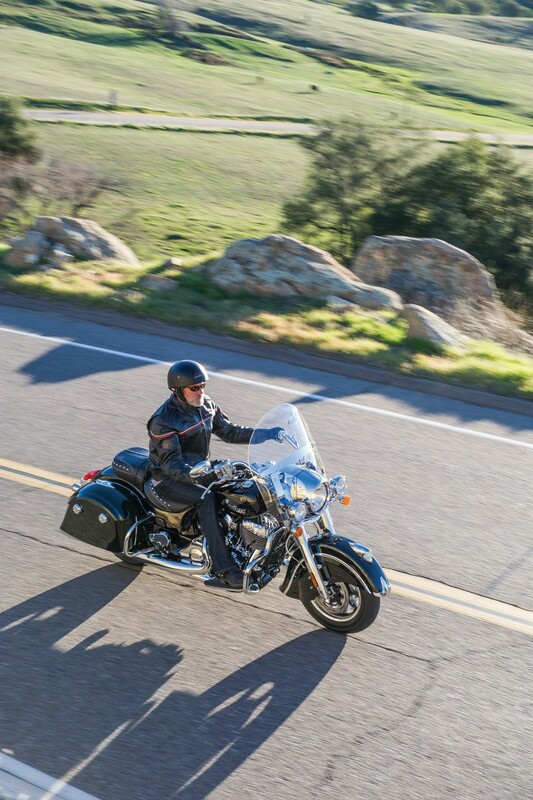 The brakes feature a semi-floating design and steel braided brake lines to increase performance, lever feel and confidence. 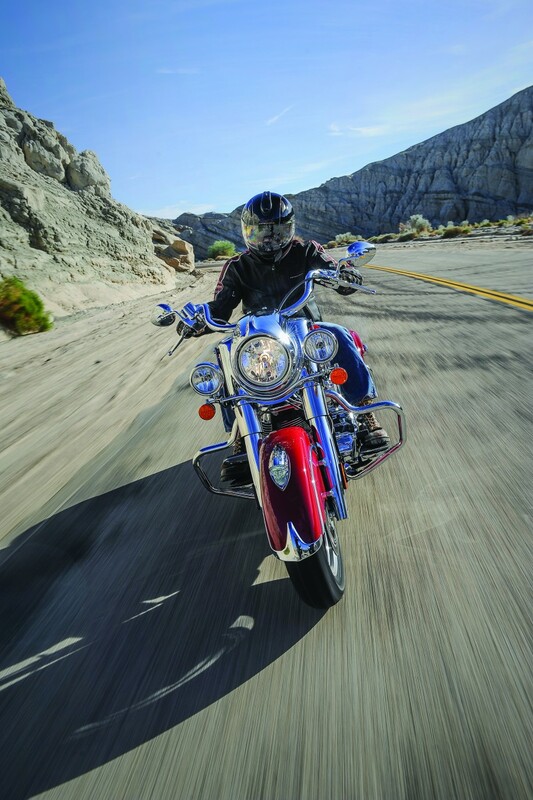 A high-resolution ABS system allows for smoother deceleration in both wet surface and aggressive braking in high-traction scenarios. 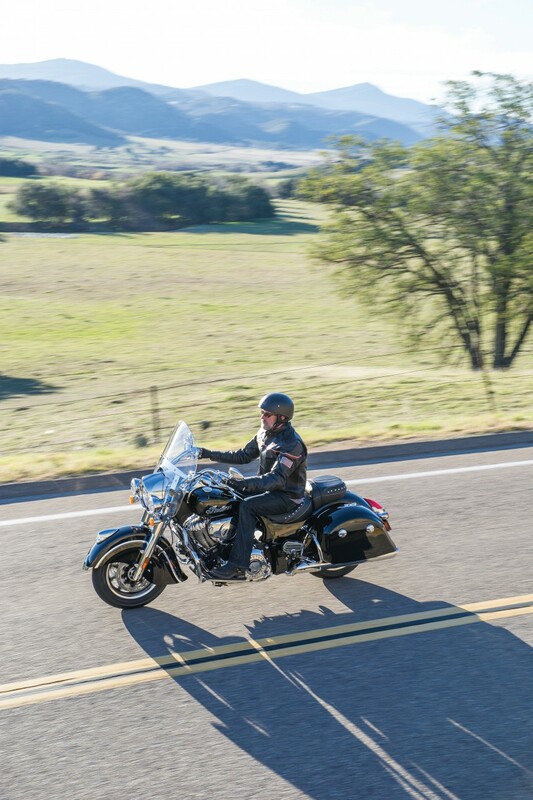 Touring comfort and convenience can be further augmented with a full line of accessories including a tall and low windshield, heated driver and passenger seats, soft lowers and heated grips to keep riders comfortable in cool temperatures.
) 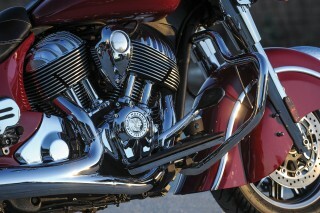 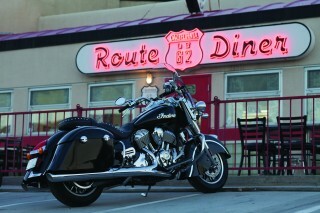 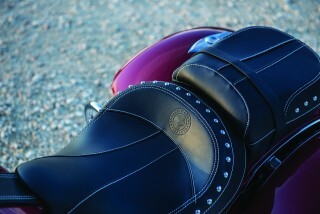 of capacity and the leather highway bar wraps provide an element of style to the front of the motorcycle. A performance exhaust made by Remus is available for a throatier exhaust note. 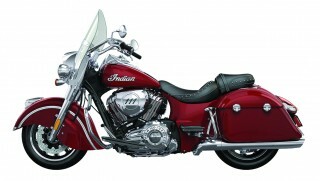 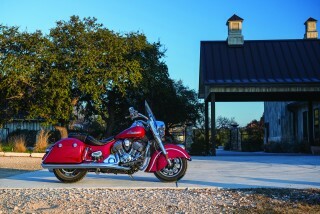 The Indian Springfield starts at €27,000 in Thunder Black and in Indian Motorcycle Red. The Indian Springfield comes with a five-year promotional warranty* (*specific conditions apply) and as with all new Indian Motorcycles, includes free membership in the Indian Motorcycle Riders Group for one year.